Time if the fourth dimension, it is a fundamental part of...of just everything. Everything you do happens over the course of time, so to set a goal and not talk about time is just crazy. Time is so fundamental to goals that you’d think we wouldn’t have to talk about it, but we do and we will. A time-constraint is just a deadline. It could be one deadline, or it could be a recurring deadline. Maybe you don’t want to just complete 1 blog post, but you want to complete 1 every week. 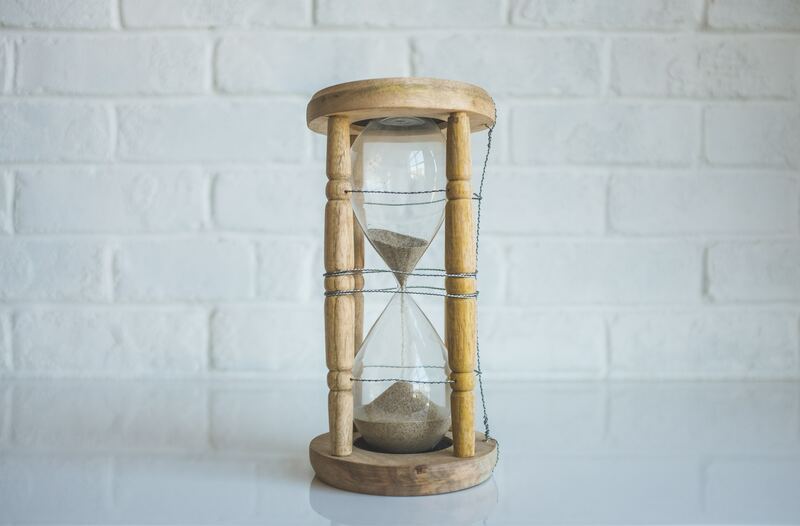 Deadlines get their own letter in SMART, but in the science of goal setting deadlines are important for their impact on two other characteristics of effective goals, Clarity and Difficulty. Setting clear goals helps us to focus our energy and motivation towards action. If a goal is unclear it can be very disorienting. Imagine you set a goal for yourself to complete a painting and sell it. On it’s surface that is a very clear goal, but if you don’t set a deadline all of a sudden the possibilities become endless. Should you practice for 1 month or 6 months before starting the painting you'll try to sell, how often should you practice, how good should the painting be before you try to sell it. This is the type of ambiguity that tanks goals. As you start to work towards your goal, things will become difficult, your paintings won't be as good as you expected them to be and the ambiguity in your goal will become the room you need to start making excuses. "I'm still going to sell a painting, I just need more time to practice." "I'm still going to sell a painting, I just only have once-a-week to paint these days." The less ambiguity there is in a goal the less places there are for us to get lost in our pursuit. If we imagine that our goal had been to sell a painting in 3 months, we can see how that would bring clarity and help us formulate a plan. We'd be able to start working backwards from that date and determining just exactly what we need to do to accomplish our goal. Eventually 3 months would come around and we would either succeed or fail, but either way we'd be futher ahead than if we hadn't set a deadline. Everything you do is going to take place over time and so any goal you set needs a deadline to have clarity. The other important aspect of deadlines is their impact on goal difficulty. Locke and Latham talk extensively about the power of difficult goals to increase output. It makes sense, if you think a goal is easy, you’re probably not going to work that hard to achieve it. If it seems really hard, but still achievable and worth doing, you’re going to give it everything you’ve got. Time can act as a way to increase the difficulty of any goal. Think about it, almost all of us will cover 1 mile on our feet over the course of the next few days, but some people devote their entire lives to covering that same distance in under 4 minutes. It is something that all of us can do, but only becomes a motivating and difficult goal when we put a time constraint on it. The easiest tasks benefit most from tight deadlines. This is because an easy goal can be made difficult with a deadline and therefore drive high performance. If you ask me to run a mile in the next week then I might not make any progress until the last few minutes of the last day of the week. If you tell me to accomplish the same goal in the next hour, I'm immediately kicked into gear and thinking about getting a change of clothes and some better shoes. If you tell me to cover a mile in the next 10 minutes I'm headed out the door now and I'll just endure the blisters and chaffing. The same goal with three different deadlines and therefore three levels of difficulty, drives three different amounts of effort. The next time you set a goal don't forget time, it is inescapable.